This research study investigated the use of technology tools to support constructivist learning experiences in a preservice teacher education reading methods course. Learning opportunities based on Kolb's learning styles model were used to support understanding of course content in the constructivist environment. Technology tools were used during class presentations to communicate, scaffold, and clarify course concepts and content while engaging students with information. Technology was used outside of class as a collaboration tool in mediating and negotiating learning between the instructor and students as well as between students and students. In addition to demonstration and application of reading methods, students' perceptions of their learning experience and understanding of course content were considered in analyzing the effectiveness of technology used to address multiple learning styles in a constructivist environment. Solvie, P. & Kloek, M. (2007). Using Technology Tools to Engage Students with Multiple Learning Styles in a Constructivist Learning Environment. Contemporary Issues in Technology and Teacher Education, 7 (2), 7-27. Waynesville, NC USA: Society for Information Technology & Teacher Education. Retrieved April 23, 2019 from https://www.learntechlib.org/primary/p/22811/. Brooks, J.G., & Brooks, M.G. (1993). Search for understanding: The case for constructivist classrooms. Alexandria, VA: Association for Supervision and Curriculum Development. Bruner, J., & Olson, D. (1973). Learning through experience and learning through media. Prospects, 3(1), 20-38. Chen, C., Toh, S., & Ismail, W. (2005). Are learning styles relevant to virtual reality? Journal of Research on Technology in Education, 38(2), 123-141. Dewey, J. (1916). Democracy and education. New York: Simon& Schuster (The Free Press). Everitt, B.S., & Dunn, G. (2001). Applied multivariate analysis (2nd ed.). London: Arnold Press. Gagnon, G.W., & Collay, M. (2001). Designing for learning: Six elements in constructivist classrooms. Thousand Oaks, CA: Corwin Press, Inc.
Harris, R.C., Reutzel, D.R., & Cooter, R.B. (2004). Model lessons for literacy instruction. New York: Pearson. Howe, K.R., & Berv, J. (2000). Constructing constructivism, epistemological and pedagogical. In D.C. Phillips (Ed.). Constructivism in education: Opinions and second opinions on controversial issues: 99th yearbook of the National Society for the Study of Education, Part 1. Chicago: University of Chicago Press. Kolb, D. (1984). Experiential learning: Experience as the source of learning and development. Englewood Cliffs, NJ: Prentice-Hall, Inc.
Kolb, D.A., & Kolb, A. (2005). The Kolb learning style inventory-Version 3.1: 2005 Technical specifications. Boston, MA: The HayGroup. Larsen, R.E. (1992). Relationship of learning style to the effectiveness and acceptance of interactive video instruction. Journal of Computer-Based Instruction, 19(11), 17-21. Luke, C. (2000). Cyber-schooling and technological change: Multiliteracies for new times. In B. Cope, & M. Kalantzis (Eds.). Multiliteracies: Literacy learning and the Design of social futures. New York: Routledge. McCarty, L.P., & Schwandt, T. (2000). Seductive illusions: Von Glaserfeld and Gergen on epistemology and education. In D.C. Phillips (Ed. ), Constructivism in education: Opinions and second opinions on controversial issues 99th yearbook of the National Society for the Study of Education, Part 1. Chicago: University of Chicago Press. Moore, S.D., & McCabe, G.P. (2004). Introduction to the practice of statistics (5th ed.). New York: Freeman Press. Murrell, P., & Claxton, C. (1987, September). Experiential learning theory as a guide for effective teaching. Counselor Education and Supervision, 4-14. Pittman, J., Rutz, E., & Elkins, V. (2006). 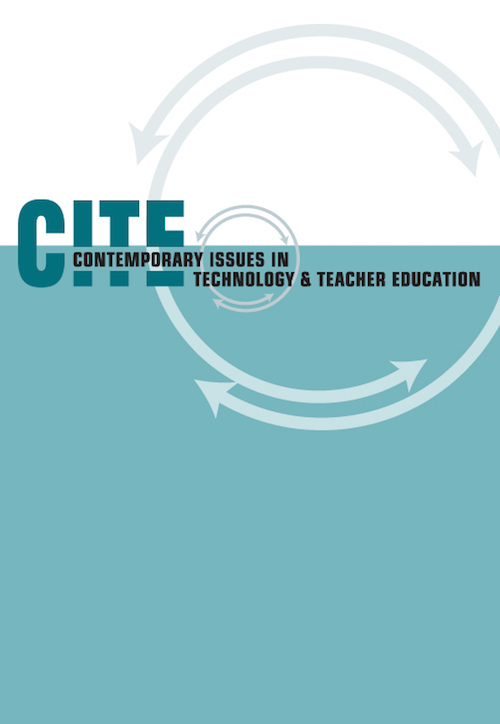 Technology-enabled content in engineering technology and applied science curriculum: Implications for online content development in teacher education. Journal of Interactive Online Learning, 5(1), 32-56. Street, B. (1995). Social literacies. New York: Longman. Taylor, S., & Hsueh, Y. (2005). Implementing a constructivist approach in higher education through technology. Journal of Early Childhood Teacher Education, 26, 127132. Vansteenkiste, M., Simons, J., Lens, W., Deci, E., & Sheldon, K. (2004). Motivating learning, performance, and persistence: The synergistic effects of intrinsic goal contents 24 and autonomy-supportive contexts. Journal of Personality and Social Psychology, 87(2), 246-260.